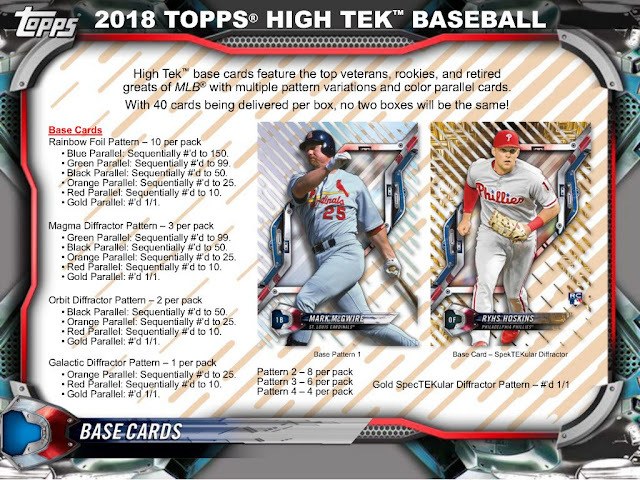 Patterns (eight of them), Parallels (each pattern has parallels), Variations, Autographs ( you guested it, autographs are ON-CARD and have parallels), Buy-Back Autographs of old Topps Tek cards, and Inserts. 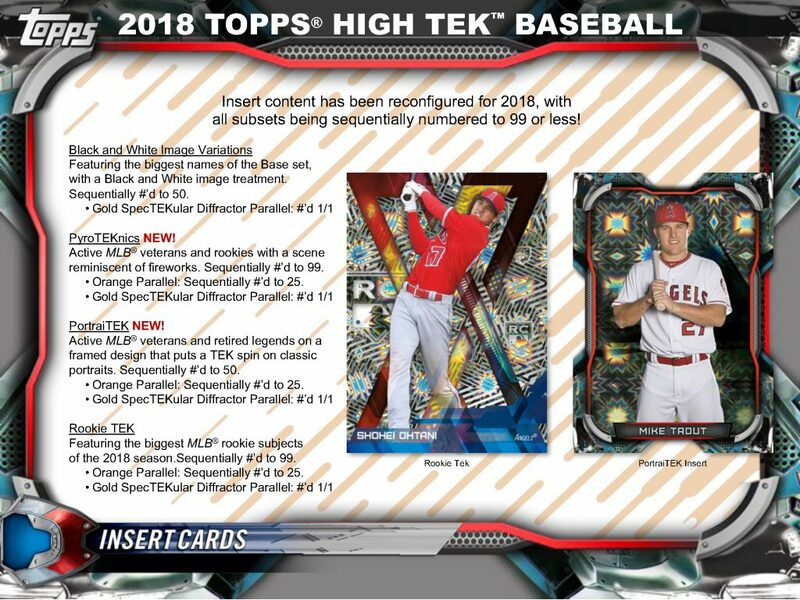 If you're looking for a collecting challenge, Topps Tek gives you that. 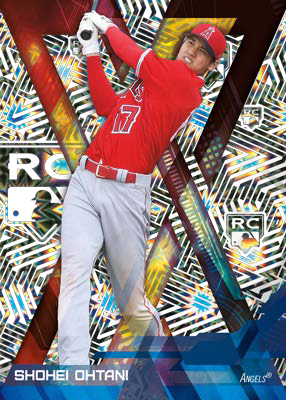 If you're looking for a whole slew of Shohei Ohtani RCs or a team or star card collector, Topps Tek gives you that. 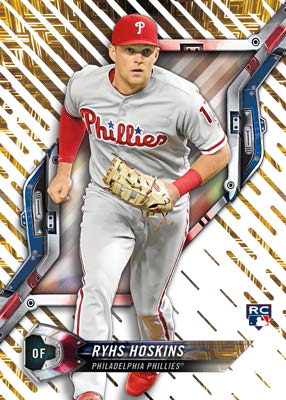 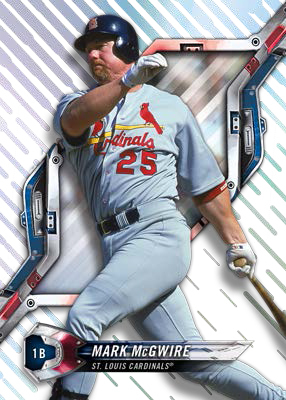 2018 Topps High Tek Baseball ($119.95 after applying our $5 Off Sale) per 40-card box, provides plenty of patterns at every turn for the line that continues to combine clear acetate, foil and big designs. 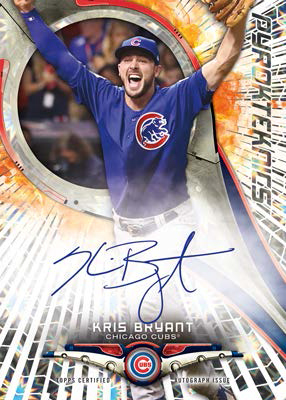 Base cards come in several different designs, each differing by their background pattern. 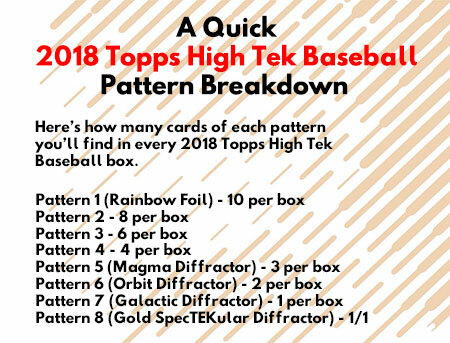 Patterns are distributed in different numbers, making some common and other much more scarce. 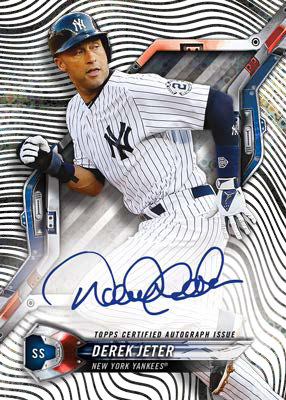 And if that weren’t enough, some of these patterns come with traditional parallels as well. Reading about it can be a little confusing. 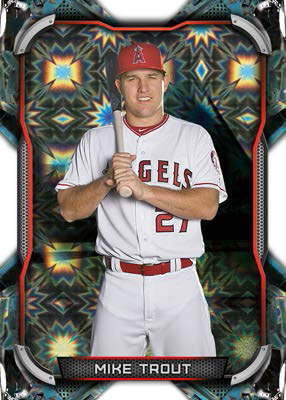 But when you get a bunch of cards of your favorite player lined up in a binder, it’s a lot more clear.